There are some legends of automotive history that enthusiasts, regardless of preferred brand, are almost forced to love. The Toyota Supra is one of those cars. Not because of Paul Walker driving one in Fast and Furious. That only made teenagers think the Supra was the fastest car in the world. 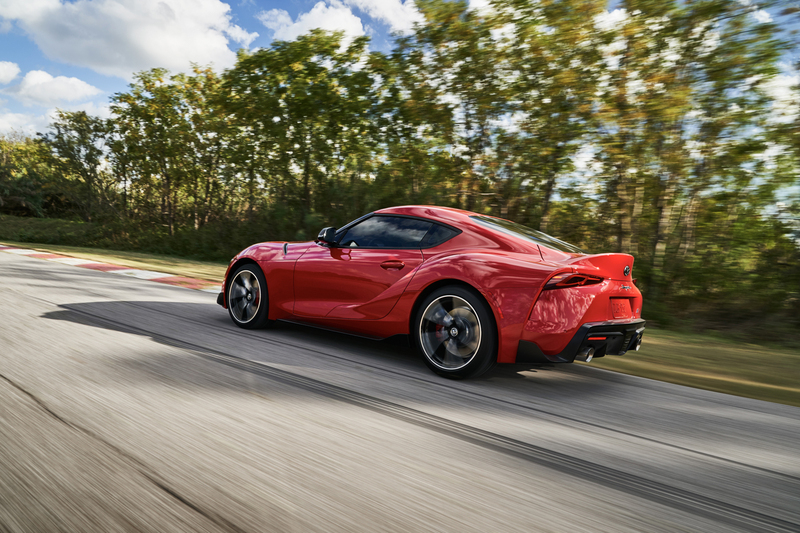 The Supra is a legend because when it first debuted back in the late ’70s, it was a light, simple and humble sports car that was affordable to most enthusiasts. There were a few generations of the Supra before it finally disappeared in 2002, much to the chagrin of many enthusiasts. Now, though, it’s back. But it’s a bit different. 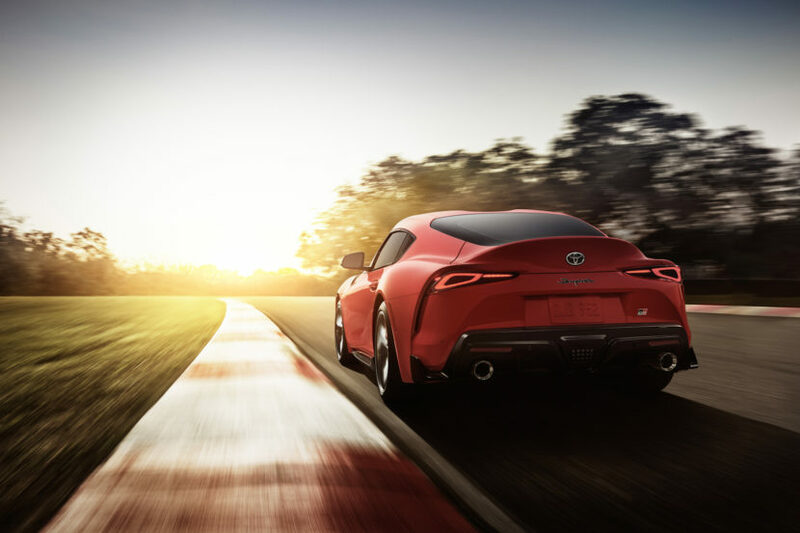 Toyota made big headlines a few years ago when it announced it was partnering with BMW for a small, rear-wheel drive sports car. 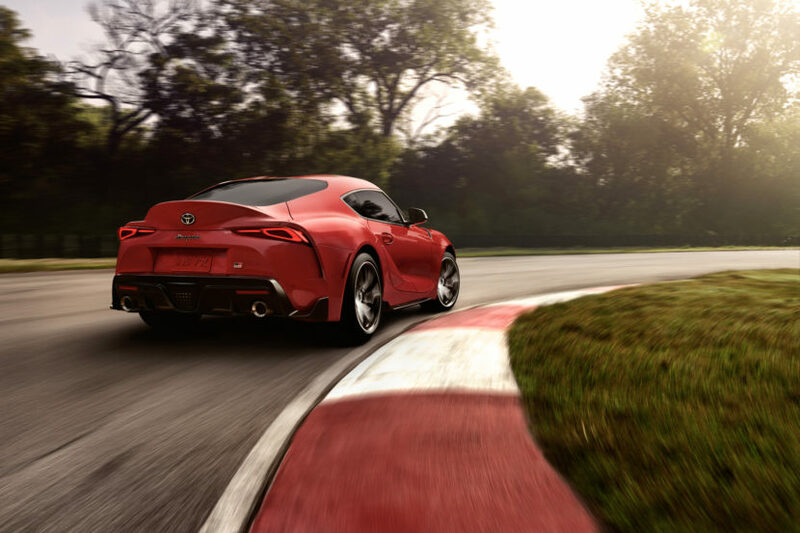 The moment that happened, car enthusiasts across the globe immediately speculated the return of the Supra. Though, Toyota was mum on the details of the car for years. In fact, it wasn’t even officially confirmed as being called a Supra until its release was near. Still, we all knew what it was going to be. Its return marks a new but very different chapter in the Supra’s history. 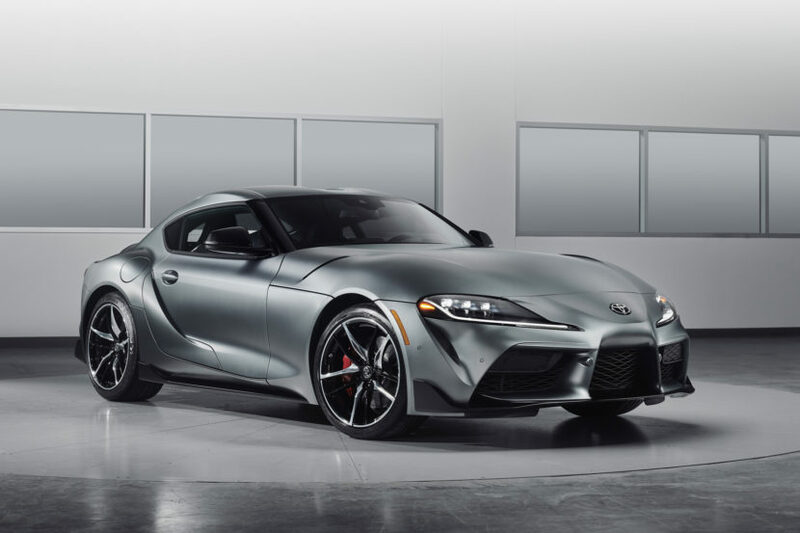 While the Toyota Supra began life as a humble sports car built on the Celica platform, this new one has more upscale bones. That’s because it’s built on the same chassis as the BMW Z4. In fact, it’s almost mechanically identical to a BMW Z4. It shares the same chassis, same technology, many interior components and, most importantly, the same engine. In a recent interview, the chief engineer for the Toyota Supra claimed that BMW was chosen as the partner for this car specifically because of its engine. 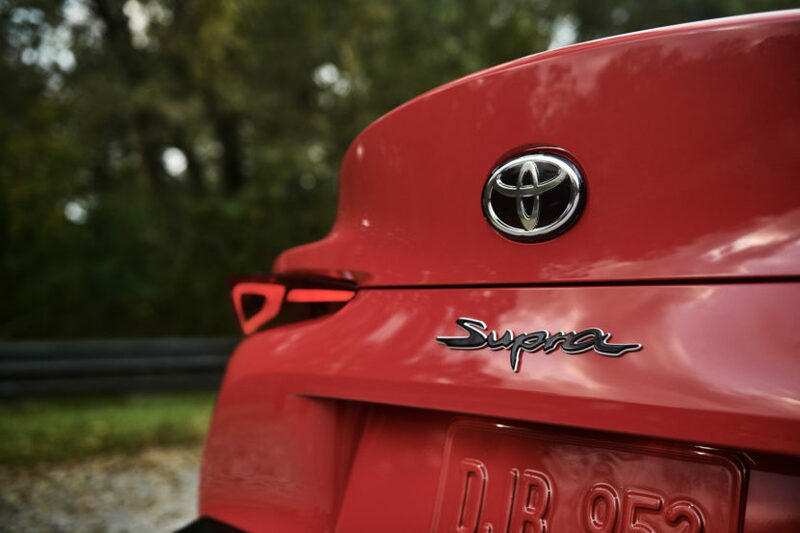 Historically, the Toyota Supra has always been powered by a straight-six engine. Early cars were naturally-aspirated, later cars were turbocharged. But its engine’s induction didn’t matter. The only thing that mattered was whether or not it had six cylinders in a line. 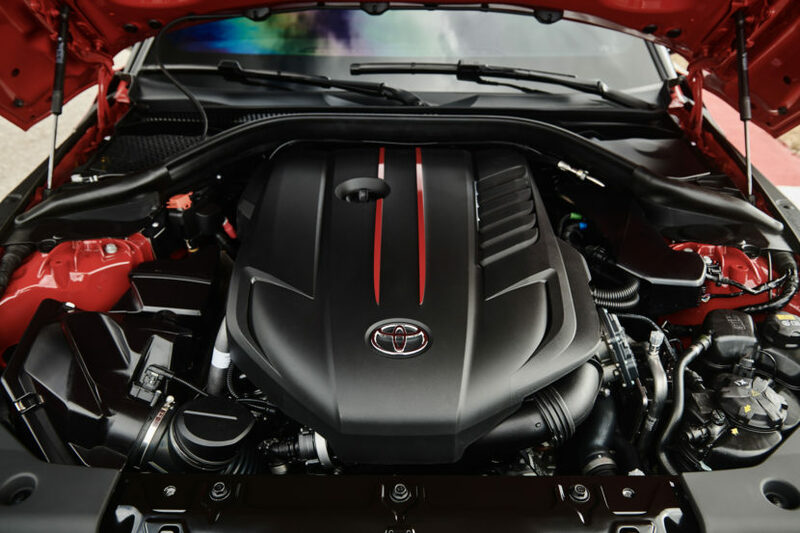 So when Toyota was planning the Supra, its engineers knew that it needed an inline-six engine. However, Toyota hasn’t made one almost two decades and it would be far too costly to make another one. So it needed to partner with a brand that did make one. A good one. BMW is the best builder on inline-six engines on the market, so the match was found. The two brands collaborated on a joint sports car project that would eventually give birth to the BMW Z4 and the A90-generation Toyota Supra you see in front of you. Technically, this car is called the GR Supra, named for its Gazoo Racing DNA. Gazoo Racing, for those of you who don’t know your Toyota-speak, is the Japanese brand’s racing division and this is the first proper GR-developed production car in history. And while GR is a pretty well known name among Toyota fans, we don’t see this name catching on with Supra fans. It will still just be called the Toyota Supra. As it should be. On the outside, this is a great looking car. There are actually a lot of mixed feelings about this new Supra’s styling. Some love it, some hate it and some just think it’s “meh”. Personally, I really like it. It looks like a fresh and modern sports car but it still looks like a Supra. It also has the right sports car proportions, with a short rear deck, long hood, wide stance and low height. It’s low, long and mean. It also has really pretty rear fender flares and an awesome looking ducktail spoiler at the back. Call me crazy but I see a bit of Ferrari 250 GTO in the back half of it. It’s quite polarizing to enthusiasts but this one really digs it. The 2020 Supra will also come with a handful or really cool colors, actually. The red you see in these photos is actually called Renaissance Red 2.0, which will obviously be the most popular color choice. There will be other cool colors, too; Nitro Yellow, Downshift Blue, Phantom Matte Gray, Absolute Zero White, Tungsten Silver, Turbulence Gray and Nocturnal Black. Unlike a lot of new BMWs, the upcoming Supra will have many cool colors to choose from. Having said that, the interior is a bit disappointing. 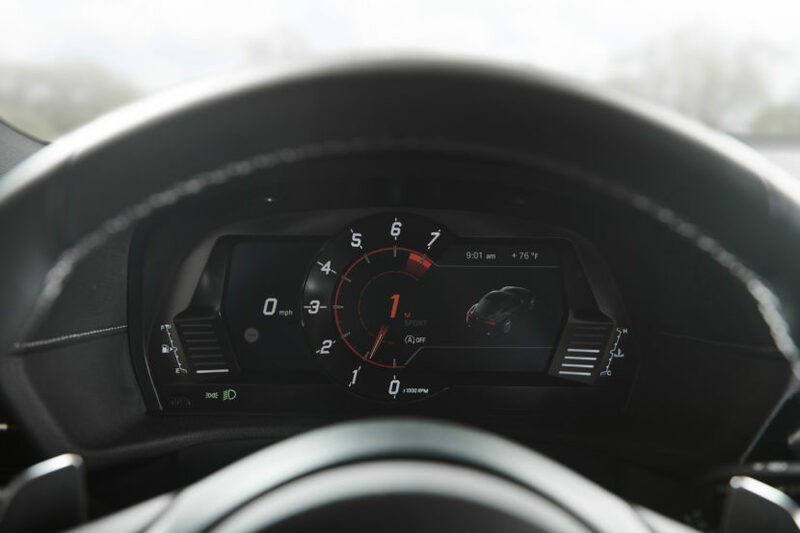 The steering wheel looks like a blend between a BMW wheel and a MINI one, it has the paddle shifters from a BMW, the shift lever from a MINI and its climate control buttons are pulled from a BMW as well. 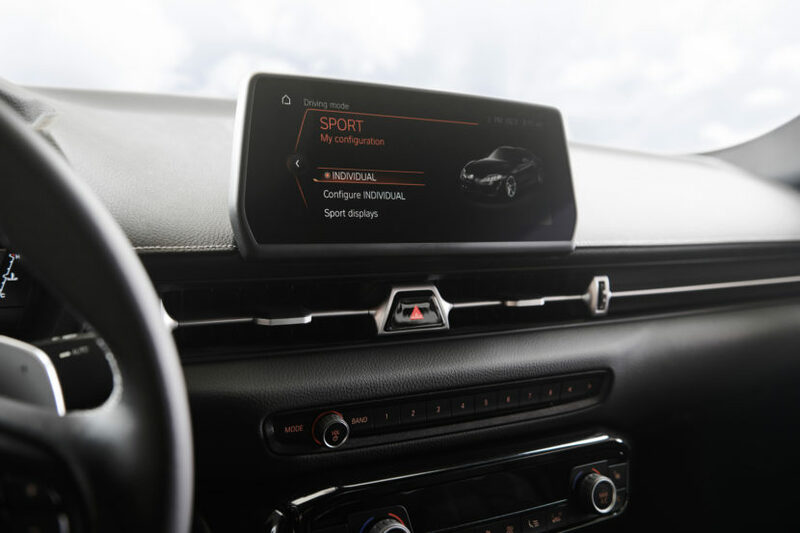 At least the actual infotainment screen is a different shape, even if it does use BMW’s latest iDrive. 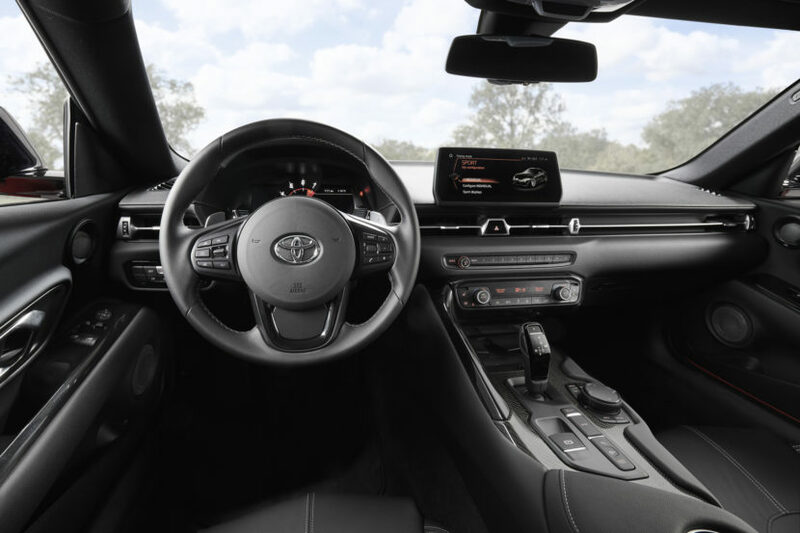 Hell, the Supra even has an iDrive controller and it’s not even the new one. Thankfully, Toyota did give it some unique touches, like its own digital instruments, air vent design and seats. The latter of which look very good, actually. The rest of it, though, is all BMW but actually looks a bit low rent. We can forgive it, however, as it will likely be cheaper than the BMW Z4 by quite a bit and undercut other BMWs, in terms of value. Especially when you consider its power and performance. Under its hood lies the same 3.0 liter turbocharged I6 engine found in the European BMW Z4 M40i. 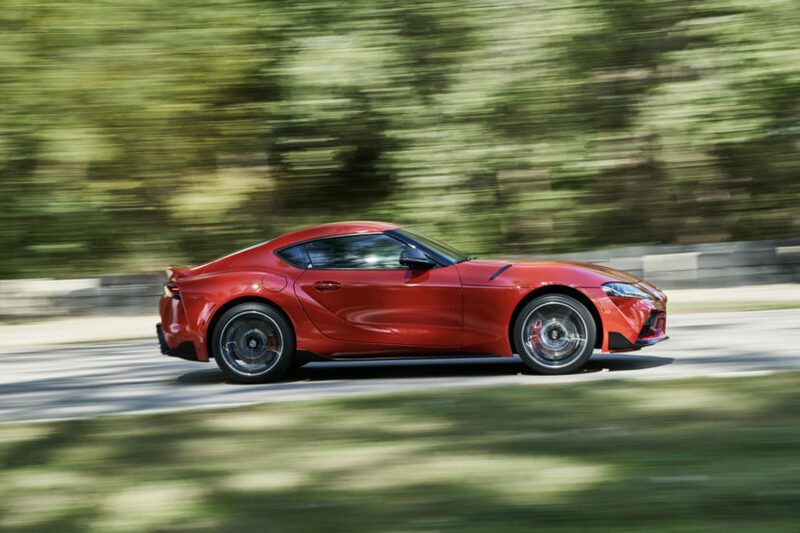 I mention the European model specifically because the Toyota Supra makes 335 hp and 365 lb-ft of torque, just like the Euro Z4 (though, the Supra is down 4 lb-ft of torque). The North American Z4 makes 382 hp, which is quite the hefty bump over the Euro car, but we guess BMW didn’t want the Supra stepping on its toes. An eight-speed ZF-sourced gearbox handles shifting duties as the only option, similar to the Z4. Toyota changed up the gear ratios a bit, though. So its lower gears are a bit shorter than the Z4’s which, combined with launch control and a lighter curb weight, help it get from 0-60 mph in 4.1 seconds. That’s three-tenths faster than the claimed time for the Euro BMW Z4 M40i despite having less power. Thank its lighter weight for most of that performance advantage. More importantly though, the Toyota Supra is just as fast as a BMW M2 Competition, while costing about the same. Talk about a good buyer’s dilemma. Sending power to the rear wheels will be an as-standard limited-slip rear-differential, the same one from the Z4 M40i. 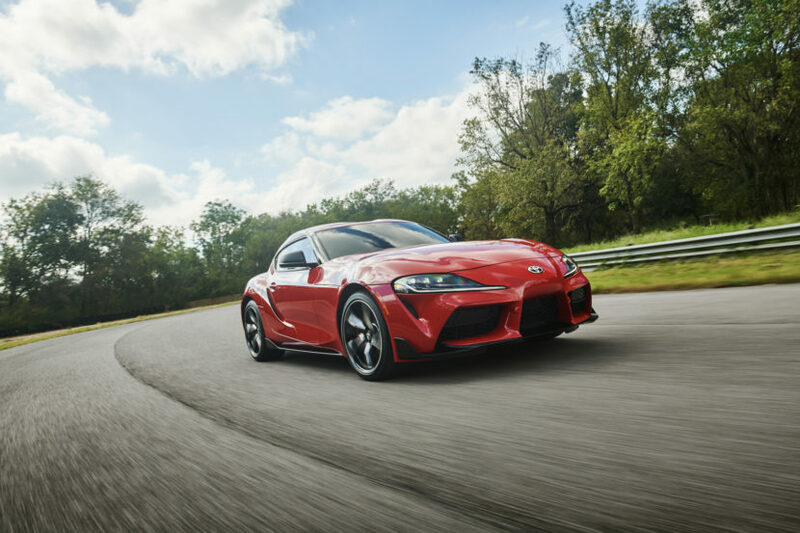 It can lock between 0-100 percent in a blink and should help the new Supra be a blast to chuck through a corner. It will also only have two driving modes to play with; Normal and Sport. This is a refreshing decision in a world where every car seems to have about a million different drive-mode combinations. Hauling it down from speed will be four-pot Brembos at each corner. Thankfully, the Supra also gets a 50/50 weight distribution, much like most BMWs. So it will be balanced and agile, much like the Z4. 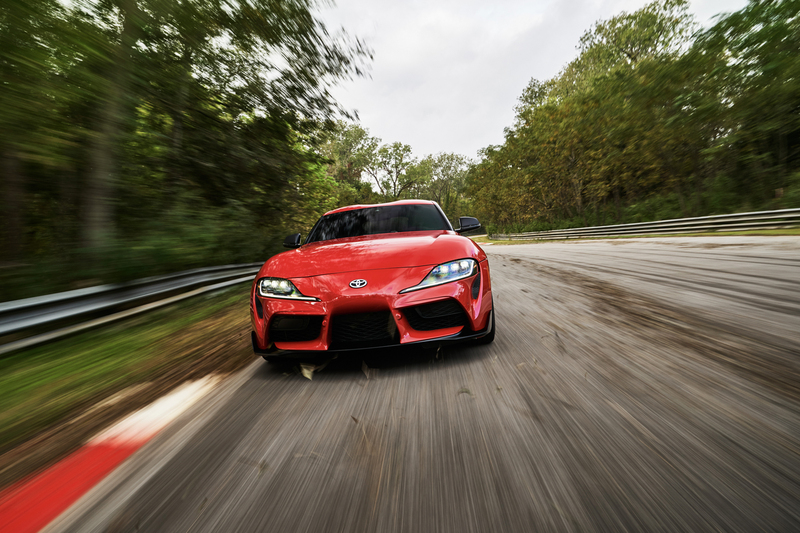 In fact, without the extra mass from the Bimmer’s folding roof, the Supra should be even more agile and balanced than the Z4. To keep the two cars feeling different, Toyota tuned the suspension itself, giving it a unique feel. Without driving it, we obviously can’t tell if it’s worked or not but Toyota claims the two cars will feel very different. 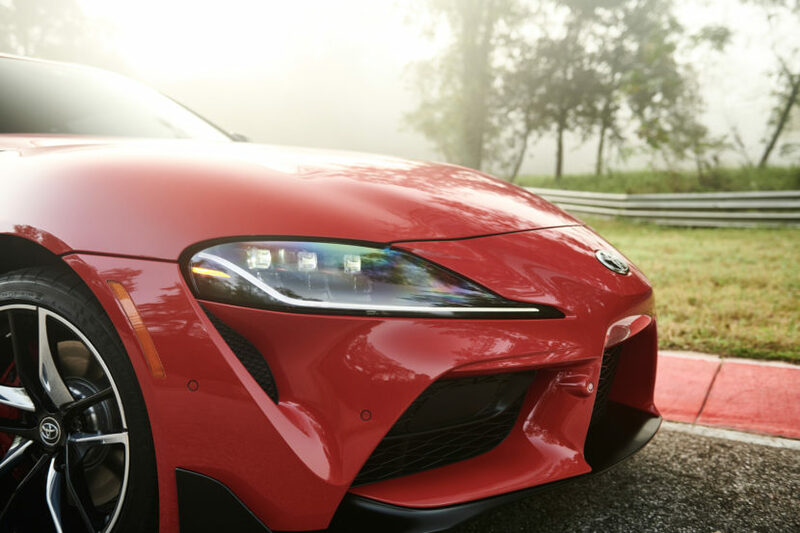 We’re very curious about the 2020 Toyota Supra. It’s a new take on an automotive legend, one built in joint with an unlikely partner and powered by another brand’s engine. Just hearing that, it sounds like the new Supra would be a mess. However, when you really look at it and the hardware it’s packing, it seems like it’s going to be a smashing success. We can’t wait to drive it, compare it to the Z4 and see what the remake of a Japanese automotive icon is like with some help from the Germans.